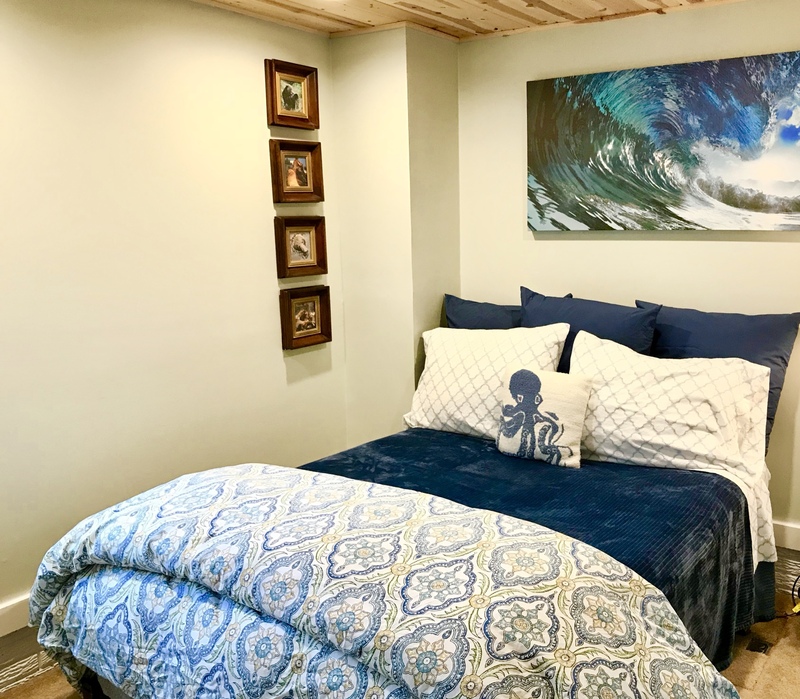 Budget friendly travel in Kodiak with with comfortable beds, luxury linens, down comforter and use of all the great amenities; full kitchen, living room and cable TV. The best room for the budget minded traveler. A smaller room with full sized bed and shared bath. Get all of the other comforts the B&B has to offer. Accommodates a maximum of 2 guests. Save $10 a night with no-breakfast included. No code needed. The longer you stay the more savings we give you. It's our little way of saying thanks for your stay! The full kitchen is located in a bright sunroom complete with full size refrigerator, oven and dining area. The kitchen is available guests at any time to cook meals or just relax in the sun. Our swanky new massage chair is a great place to relax and get a deep therapeutic massage. Relax on a reclining couch in our spacious living room after a long day. Homemade breakfast items made fresh daily are designed with custom reheating instructions for the early bird or the relaxed vacationer. Our large flat screen cable television is available for all guests in the cozy living room. 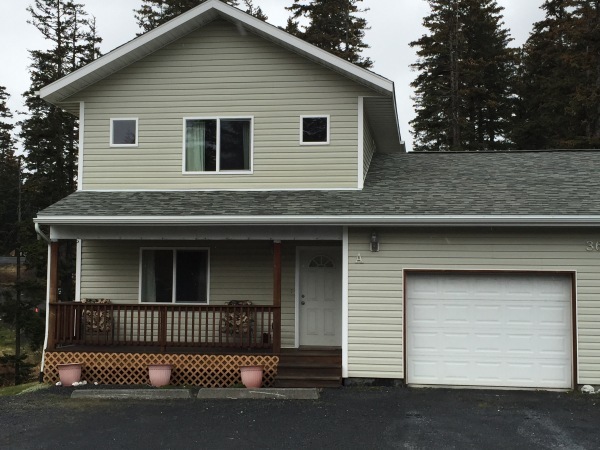 The house features 3 bedrooms, 2.5 baths, a spacious living room, large kitchen, breakfast bar and dining area. Roughly 1700 sq. ft backing to a thick swath of spruce trees. 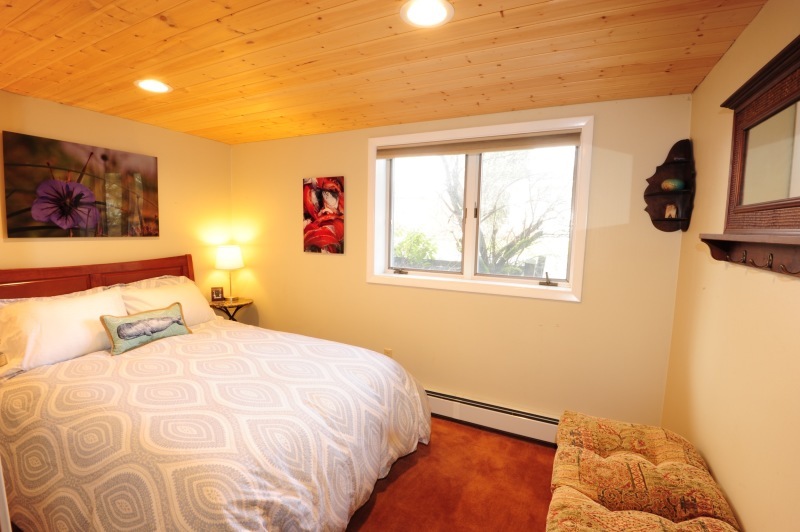 This executive vacation rental can comfortably accommodate 6 people with a maximim of 10 guests. Inquire about long term stays, government rates, military transfers and TLA. ​​Regardless of which room you choose you'll be spoiled with our homemade breakfast, relaxing massage chair and full access to the bright sunroom/kitchen and cozy livingroom to kick back and relax. 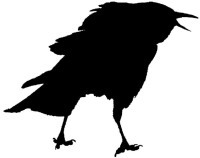 Just looking for a bed and a bath try our ​​​​ Cranky Crow's Nest ​​that offers just that and a private entrance but does not offer access to the B&B.